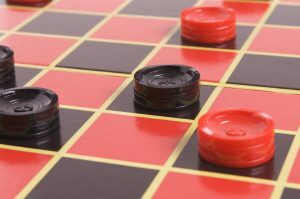 Have you ever played checkers with a little kid? It’s pretty straight forward. The rules are simple. You’re black and I’m red, move forward, jump, king me, win. So this got me thinking, how do we define winning (success) as, employees, business owners, team members, not to mention parents or in relationships. It’s impossible to define the specifics of success for everyone, but we can ask some questions that will help us search for and define success in our businesses. Ask Yourself, How Do You Define Success? As a member of a team who works with business owners or managers of a business we often find our conversations coming back to one main thing, what is the meaning of success for your company? How does your company define winning? Is it simply staying in business? Or is it making more money than last quarter? Growing or expanding would seem the simple answer, of course but having more time to devote to family may also be your definition of success. You really need to break things down and evaluate each facet of the business and personal life to begin working towards your version of success. More specifically, one type of a business goal that everyone has to handle regardless of the type of industry you work in are your marketing objectives and goals. When you consider your marketing efforts how will you know if you have made the right decisions? Before you start marketing or hire an agency, you need to set several clear goals on what a successful marketing campaign would be for your business. Either increase your leads, boost sales, create a shopping campaign, increase phone calls to your business, build brand awareness or generate form fills. These would be examples of areas where you should clearly define your marketing goals. If you want to increase brand awareness, then setting up a display campaign with image ads is the path for you. If you want to generate form fills, then creating a new test landing page with a form fill above the fold could be an avenue. No matter what you do, however, you to track your goals through conversion tracking. In marketing, you will hear a lot about conversions (goal completions). Conversions are tracked by using a code placed on your website either in Google Analytics or through secondary sources like a call tracking site (or both). For this to happen you will need or provide access to you’re analytics account and/or website administration access. Conversion tracking is essential to gauging your return on investment (ROI), keeping in mind what your primary and secondary effort of focus will be, and how you define that success. I’ll say this plainly. Make sure your conversion tracking is set up properly. We’ve had many clients come to us, thinking there business is attaining a certain level of conversions, only to find out they’re actually not. Code that’s counting conversions twice. Code that’s not counting a certain type of conversion. We’ve seen it all. Ensure this step is done properly. Call Google, Bing, or Facebook customer service and have them walk you through it. Your marketing agency should be able to do this step for you if you go that route. Let’s look at an example of what a business might do when they want to get their name or brand some extra exposure. You may choose a social media platform or generalized ads to increase brand awareness. If you are wanting to promote a specific aspect or product for your business, to generate a sale or interest in that product, (2- different goals) you will advertise that service in a very precise manner while directing the traffic coming from that ad to the right landing page of your website to make the goal/conversion more likely. When you review the activity on your account or with your agency look for details of what terms or keywords generate your conversions, geographic locations that convert and even time of day that yields the best results. When you know how to define success for the different areas of your business, you have a path to start working on. When it comes to marketing goals, the ability to dig deep and recover the information that will be critical for the success in invaluable. If you don’t know what success means for your business yet then the best you can hope for is a generic approach and while some approach is better than none it is worth the time and effort to define what success means to you. Knowing where you want to go will allow you the ability to find the best way to get there, and once you have that roadmap the likelihood of repeating that success for every aspect of your business (and life) is greater. When you have a clear understanding of what your goals are and how you will gauge success then “winning” becomes your final destination.